While you are preparing for a job search, it is important to be prepared for a telephonic interview as well. Many companies have started evaluating candidates on the basis of telephonic conversations. It helps them to evaluate if the candidate is a good fit or not. Your telephonic interview can either be scheduled well in advance or you may receive a surprise call anytime. Prepare for a telephonic interview just as you would for a regular face-to-face discussion. It is important to compile a list of strengths and weaknesses as well as the list of answers to some of the typical phone interview questions. In addition to this, have a list of questionnaire ready that you would like to ask the interviewer. Make sure that you take out time to review the job description and do a bit of research about the company. Talking on a phone isn’t as easy as it looks. 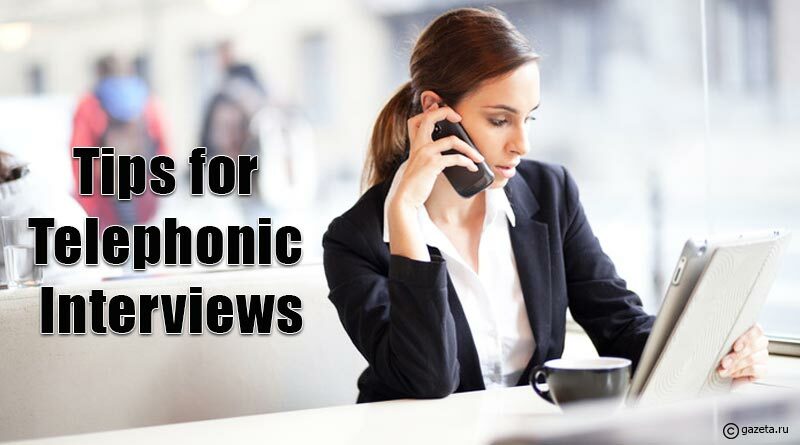 It is important to practice and master the art of telephonic interviewing. You can take help from a friend or family member to conduct a mock interview. The interview can be recorded so that you can work on things that can be improved going forward. Listening to the recording will also help you pinpoint your mistakes you should not repeat in future. Before the call, confirm all the necessary details like date, time and who you will be talking to. Use a quiet and comfortable private space with no distractions so that you can focus on the interview. 1. Review the job opportunity and make a list of how your qualifications match the hiring criteria. 2. Keep your resume handy so that you can refer to it anytime if the need arises. 4. Make sure the room is clear and there is no one to bother you during the course of an interview. 5. Do keep a glass of water handy. 6. Do not eat or chew gum during the interview. 7.Focus, listen and then take your time in answering the questions that are being asked. 8. Do not interrupt the interviewer in between. If anything is unclear, ask when he/she has finished speaking. 9. Thank the interviewer in the last and do ask about the possibility of meeting in person. 10. And yes, don’t forget your smile. People can sense your happiness. It is all these small things that make a huge difference.